Round 4 in the 2019 AFL season is set to be an exciting one with some massive clashes on the cards. 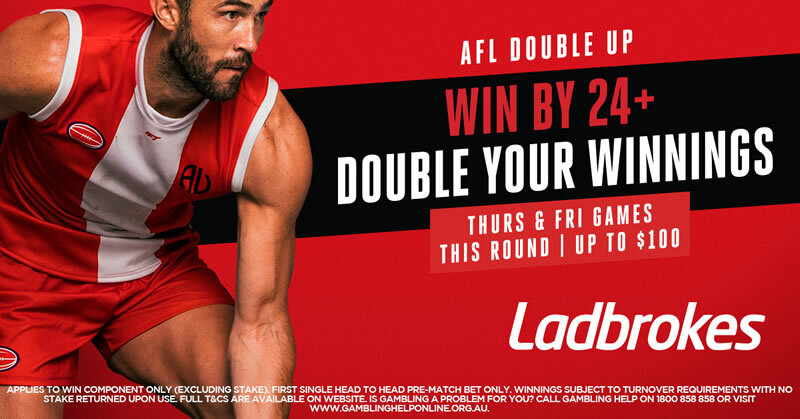 The round gets underway on Thursday night as Sydney host Melbourne, who are still searching for their first win of the season after being an early premiership contender. Will the Swans make it two in a row in Sydney this Thursday night or can the Demons finally get their season rolling with a win? After disappointing losses in the first two rounds of the season, the Swans finally got on the board in 2019 with a hard fought win over Carlton in Round 3. The win might set more worry in the hearts of Swans fans than relief, however, as they stumbled over the line against a Blues side that has to be thought of a real bottom four contender this season. Reigning best and fairest winner Jake Lloyd was resolute in defence, racking up 32 disposals while Josh Kennedy dominated the midfield battle with 31 touches and a goal. It was young star Isaac Heeney who proved to be the difference for the Swans though, racking up 26 touches, 8 marks and 4 goals in the win. Full back Heath Grundy could be a big addition after missing the clash with Carlton on the weekend while key players Daniel Menzel and Nick Smith are still without a return timetable. Other than that, the Swans injury list is actually one of best in the league at the moment and although they are just 1-2, probably deserve to be favourites on Thursday night. Melbourne has been without doubt the disappointment of the 2019 AFL season so far. After many pundits had them winning the premiership this season, they have suffered losses to the Power, Cats and Bombers by an average margin of just over 41 points. The road doesn’t get much easier for the Demons, with games against the Swans, Tigers, Hawks, Eagles, Giants, Crows and Magpies in their next nine games. Angus Brayshaw was a shining light for the Demons against the Bombers. The 23-year-old racked up 34 touches and a goal to claim best on ground honours for the Demons. Melbourne’s offence also looked a lot better than it did in the first two rounds. They managed to put up a combined 107 points against Port Adelaide and Geelong but kicked 18.4 against the Bombers as JamesHarmes and Jayden Hunt booted three each. The Demons injury list is a real issue at the moment. Jeff Garlett could return to the line-up this weekend but the Demons will still be without Jake Lever, Jordan Lewis, Steven May, Mitch Hannan and Charlie Spargo. Amazingly, the Swans have won their last seven games against the Demons dating all the way back to 2011. Their most recent matchup came in Round 21 last season where Sydney ran slaimed a tight 9 point win at the MCG. The game will be played on Sydney’s turf this time around, although the Swans were comfortably beaten at the SCG by the Adelaide Crows in Round 2. Tough to side with the Demons with their form at the moment, but Sydney could just as easily be 0-3 if it weren’t for the schedule tossing up a game against Carlton on the weekend in which they barely managed a win. Sydney’s offence has been a major concern, they put up just 63.5 points per game in their first two matches and struggled to score consistently against the Blues on the weekend as well. In a battle of two majorly out of form teams, we are going to take the home side to get the job done.